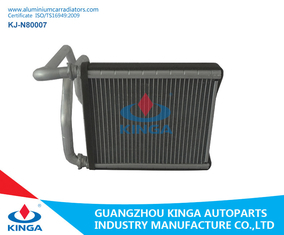 KINGA heater core is produced from high quality anti-corrosive aluminum material which lengthens the working life of the heater. The fin is proportionally constructed with a fin height of 5mm increasing the dissipation area of the core. Advanced anti-corrosive technology has been applied to the heater pipes for long service life. 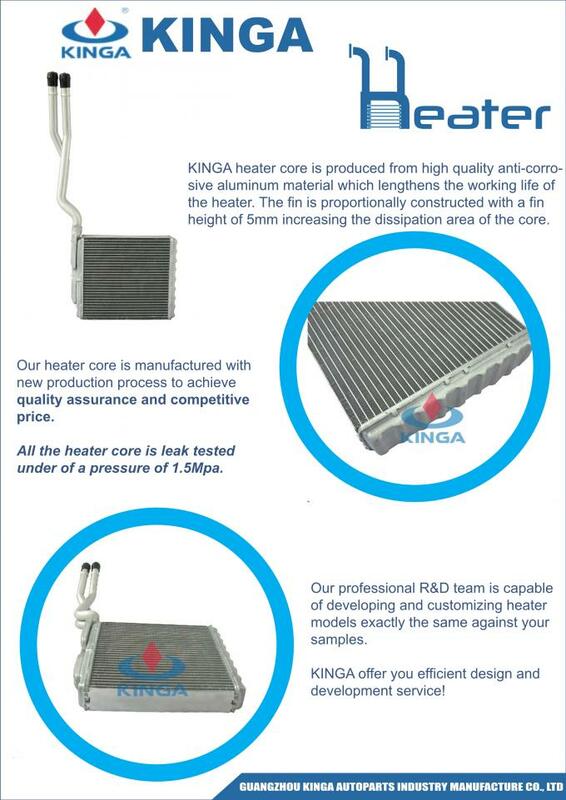 With these features , each KINGA heater core delivers higher preheating efficiency, even temperature rising heating up your compartment to a cosy driving environment in a short time. 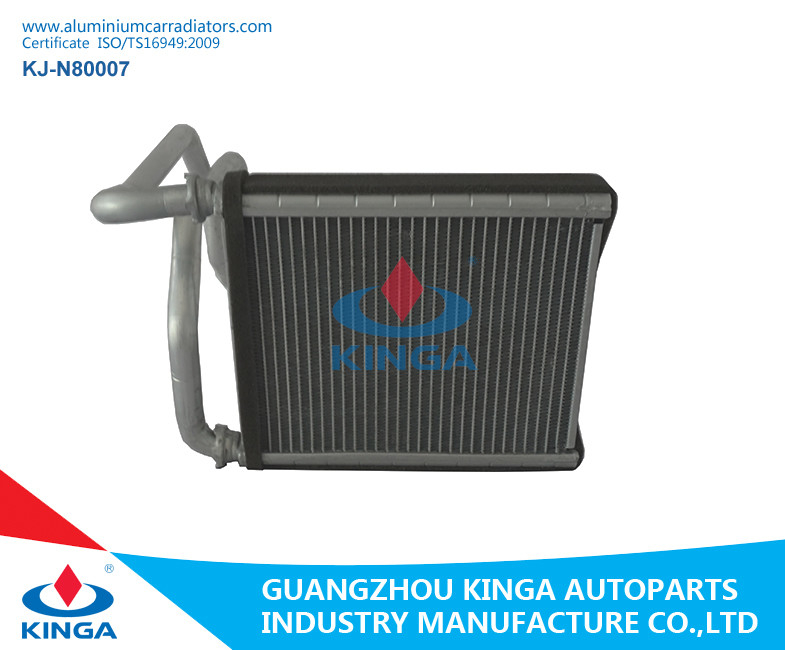 All our heater core is manufactured with new production process to achieve quality assurance and competitive price. All the heater core is leak tested under of a pressure of 1.5Mpa. Our professional R&D team is capable of developing and customizing heater models exactly the same against your samples. KINGA offer you efficient design and development service! Since we have many resources of different ranges of auto spare parts factories, we know their quality level and price level. We can choose the most suitable supplier for customers according to their request. Most of products are from our long-term suppliers. They have been supplying the goods for us for more than 20 years; we can control the quality and price. So the issue for quality is not a problem. Even if the products have met the function problem, we can afford all the consequences. We will never hurt the customer's interests. After more than 20 years experience accumulated in this filed, we have collected valuable resources of manufacturers and distributors. We are not only able to supply high quality goods; also we can recommend the hot sale products to customers according to different market needs. We help customer save money, but help them earn more money. According to our company's rule, we support one-year quality guarantee after you receive the goods. During this time, if you meet any quality problems, please contact with us, we can provide you with any replacement. The premise is non-human damage.